Many international flights now go direct to Sharm el-Sheikh, contact youi travel agent for details. Buses run by the East Delta Bus Company. Terminus in Abbassia. Little is known. 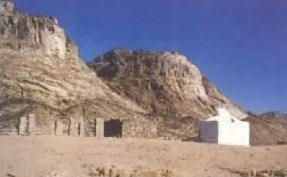 The tomb lies at the junction of Wadi Mur and Wadi al-shiekh.